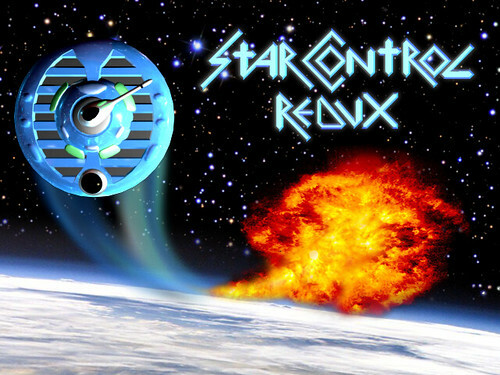 It's a remake of Star Control 1. You know the story. Until I have anything meaningful to say, here are some (old) piccys. Last edited by Dragon on Fri Apr 09, 2010 9:00 am, edited 1 time in total. I love those planets of yours. I can just imagine how cute they'll look in the full game. The exaggerated vertical relief on the planets makes me think of Spore. I'm liking the idea of a slightly cartoony SC1 remake, though. If you don't have high-powered modeling talent nowadays that seems to be the way to get a decent looking finished product. I like the look, too! Give me a quirky sense of style and some art direction over a bunch of flashy shaders any day! Adding a link to this thread's predecessor as a matter of course . . . damn, this forum doesn't have a top 10 list! 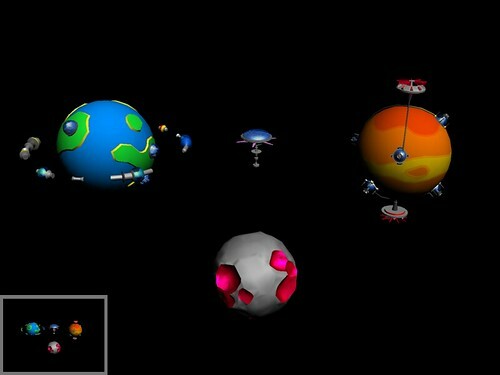 More old piccys, some combination of these might be what the starmaps look like. Dragon (in the old thread) wrote: In my not-so-humble opinion computer courses don't teach you how to program so it's no great loss if you haven't done any. You're telling me I have no excuses for being crap? Last edited by Zeracles on Fri Apr 09, 2010 9:28 am, edited 1 time in total. I cant wait to see how this game turns out! Yep, its always made programming official when they start sending in graphs. Either way nice work. Lukipela wrote: I can just imagine how completely adorable they'll look in the full game. I hope to see some progress soon . Ack! Another bump and I haven't posted anything. I've made quite a lot of headway with input and actions and stuff. I can't remember if I mentioned that I threw out my old Direct Input library on the grounds that it was crap but it's all replaced now. I also got briefly distracted by thoughts of a matlab to C converter (practically it would be compiled matlab) but - fortunately - I never started coding that because the type-freeness of matlab makes it difficult. Would have been a pretty big tangent if I'd tried it.